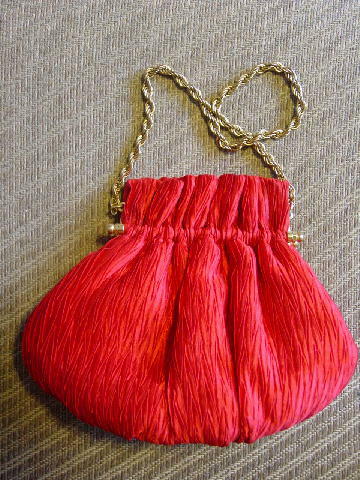 This never-used bright red (the red is brighter than it appears in the pictures) fabric evening purse has a multi-length pleated design pattern. 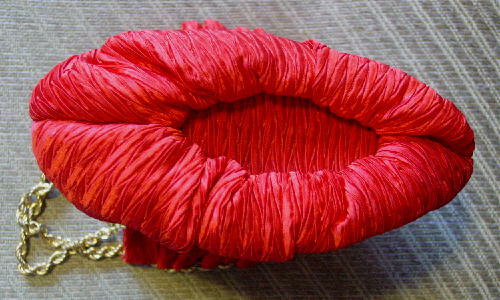 The bottom has an elongated oval indented area with a cardboard base which is covered in fabric (interior and exterior). 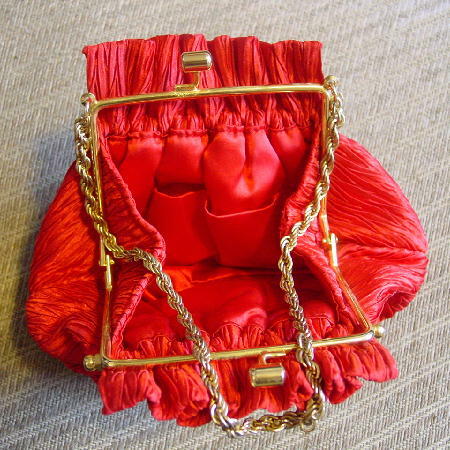 The interior has a red fabric (probably acetate) lining with an open pocket. It has a bright gold-tone rim, bypass closure, and decorative side caps. It was missing its strap, so Eden added a thick multi-link gold-tone necklace as the chain.